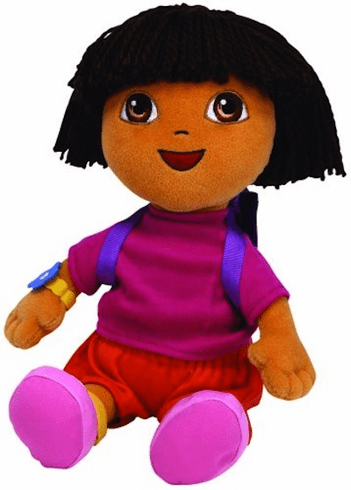 Home > Toys > Plush > Search By Brand > TY > Dora the Explorer 13"
Nickelodeon's Dora the Explorer. Ty Beanie Buddies Dora Doll 90060. With her trusty backpack, Dora is all set to take a wonderful journey with her best friend . . . you. Nick Jr.'s Dora the Explorer character is the number one television program for preschoolers.